During the Raiders of the Lost Ark‘s 30th anniversary event, Steven Spielberg candidly answered questions from the people in attendance. One of the topics? E.T. : The Extra-Terrestrial. In 2002, Spielberg went back and used CG to change every gun in every scene into walkie-talkies to make the film more kid friendly. And, of course, all us old school fans were in an uproar over the unnecessary change. So what’s the concern with E.T.? Spielberg plans on re-releasing the movie on Blu-ray — and people are afraid he’ll give it the same treatment George Lucas is giving Star Wars: making all kinds of changes that ultimately take away from the film’s charm. Afraid? You should be. And by “should be”, I mean you shouldn’t. Why? So yes, expect the original version being released on Blu-ray — and yes, that means the walkie-talkies are gone and the guns are back. I gotta say that I’m glad Spielberg won’t tamper with his films. They were memorable for so many years; they should be left intact. 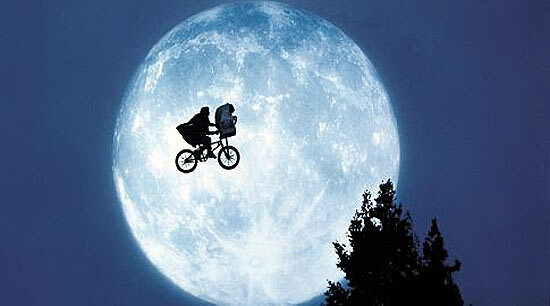 The Blu-ray release for E.T. : The Extra-Terrestrial is not yet announced.